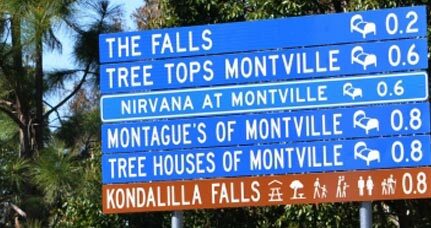 Nirvana at Montville Holiday Home is affordable luxury! 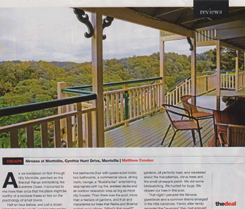 Close to Maleny, read below to find more about tariff and location. The property sleeps up to 10 guests in five large, independent and very comfortable bedrooms: 4 Queen and 1 double bed. No sofa-beds, no bunk beds and definitely no mattresses on the floor. Rates range from only $40 per person per night (based on ten guests staying seven nights) – to $65 per person per night (based on ten guests staying two nights). That is quality accommodation in a luxurious, private, fully self-contained premium holiday house for far less than the price of a motel room! We take only one booking for any given time and our guests do not share the house with any other guests. We accept payments by direct deposit to our Account with Bank of Queensland, Or Guests can pay with their credit cards (MasterCard/Visa) into our PayPal account. Credit Card payments attract a 3% processing fee. 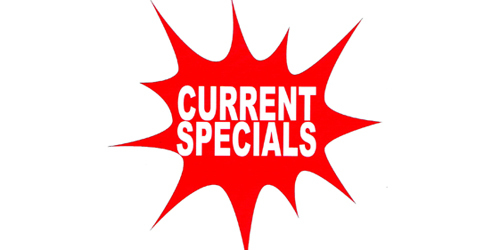 Seniors Discount Card holders are welcome with a 10% discount for mid week bookings (Sunday to Thursday) and a 5% discount for weekend bookings. Excluding School and public holidays. 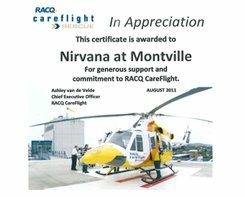 Nirvana at Montville Holiday Home is located adjacent to (just 200 metres), overlooks Kondalilla Falls National Park, and is also close to Maleny. The holiday house is only a few minutes drive from charming Montville Village and the beautiful Flaxton Gardens-arguably one of the best wedding and functions venue on the range.